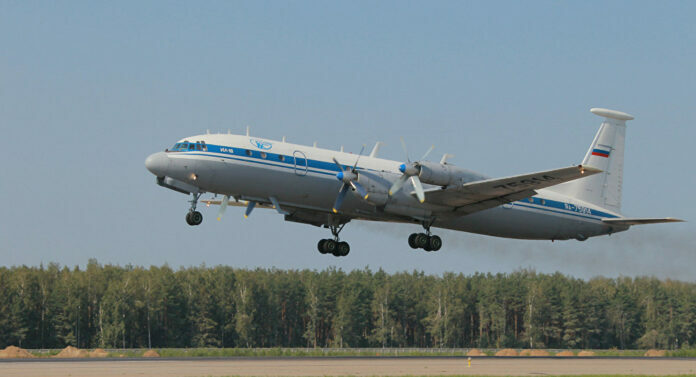 A Russian Il-18 plane has crashed in Russia’s Sakha Republic (Yakutia) on Monday. Early reports show that all passengers have survived. “As a result of the accident, all passengers and crew members are alive. Sixteen individuals sustained severe injuries. Search-and-rescue helicopters have evacuated 23 people to regional health centers of Tiksi [settlement],” the Russian Defense Ministry said. The plane had 39 individuals on board. Sources earlier said four or five people were likely to have survived. “According to preliminary information, the plane broke into three, it [the crash] was not followed by fire outbreak,” a source in the law enforcement said earlier. Among the 39 people on board, 32 were passengers and seven were crew members. The source said a crew error as well as adverse weather conditions could have caused the crash. The crash site was located and three Mi-8 helicopters of the Russian Emergencies Ministry were sent to it, Sputnik reported. The plane reportedly belonged to the Russian Aerospace Forces and carried officers. “The plane made an emergency landing at 4:45, 30 kilometres (18 miles) away from Tiksi. The plane had been conducting a planned flight from the Kansk airbase,” the Defense Ministry added. The ministry sent a special commission to investigate the accident.